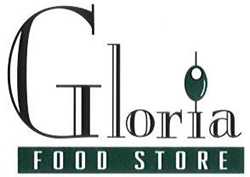 We've partnered with world famous Gloria Foods to bring you a scrumptious Pre-Show Dinner: Crab and Lobster Ravioli served with a light olive oil drizzle & fresh grated Parmesan cheese, Slow baked Chicken Parm, Slow Roasted Eggplant Parm (no bread crumbs, gluten free), Sausages, Peppers & Onions, Garden Salad, Dressing, Rolls and Butter plus assorted desserts. PLEASE NOTE: Your show ticket must be for a seat at a TABLE in order to get the pre-show Dinner. Dinner cannot be served to people seated in rows A through G.
This Pre-Show DINNER is an extra $19.95 per ticket. 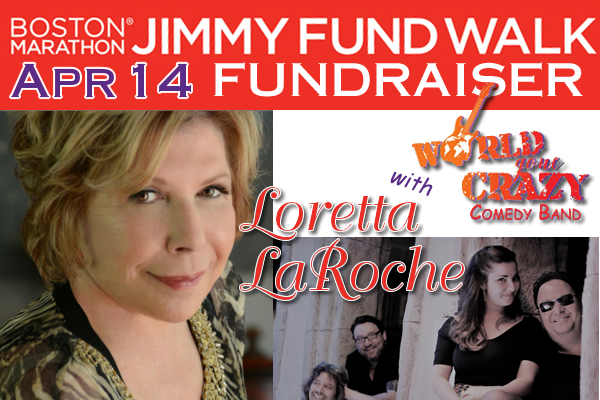 Multiple award-winning comedian and TV star Loretta LaRoche brings her newest material to Beverly for the 2nd annual JimmyFundWalk Fundraiser! Joining Loretta will be Boston's famous World Gone Crazy Comedy Band. Loretta's 9 Wallis shows have sold out. Don't miss your only chance to catch Loretta's newest material before her new show premieres later this year. If you can't make the show, but still want to donate to the Jimmy Fund Walk Team, please click HERE and thank you! 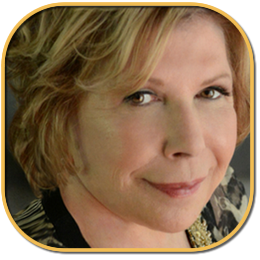 Loretta LaRoche is an acclaimed speaker, author and international stress expert and humor consultant who has evoked wit and irreverent humor on her audience for over 30 years. Using humor to reframe a stressful situation, Loretta captures a new perspective on the difficult parts of life. Her teaching style, credibility and incontestable humor are integral parts to her compelling presence. She is founder and president of The Humor Potential, Inc, a company offering programs and products for life style management. Lorettaâ€™s special brand of optimistic psychology has an undeniable positive effect on the health of all that are exposed to her. 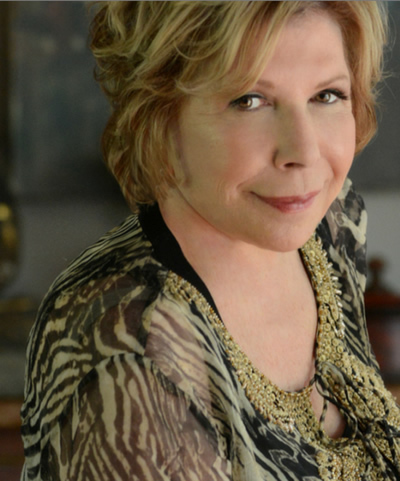 As an acclaimed author, she has toured with the Hay House, "I Can Do It!"conferences. She is a well-recognized Hay House best-selling author of 8 books. Click here for to see Loretta LaRoche's website. World Gone Crazy ROCKS today's news for laughs! Launched 5 years ago for lovers of stand-up comedy and live rock & roll song parodies -- there is simply no other comedy show like World Gone Crazy ... period! What is World Gone Crazy Comedy Band? It's the "new & different" show you have been looking for! This side-splitting show skewers today's current events with rapid fire song parodies, stand-up comedy, hysterical impressions, audience interaction and commercial spoofs. Think of it as a rock & roll version of "The Daily Show", "Capitol Steps", "Saturday Night Live" along with the comedy of "Bare Naked Ladies" all combined into one! If you love live music, stand-up and therapy ALL performed by 4 talented and extremely funny comedic personalities - World Gone Crazy is the show for you! Special guests and comedians all tend to show up on World Gone Crazy's stage - you never know who will join the party! Featuring drummer and comic personality Gary Marino (ABC's "Live with Regis & Kelly", "Million Calorie March: The Movie!") 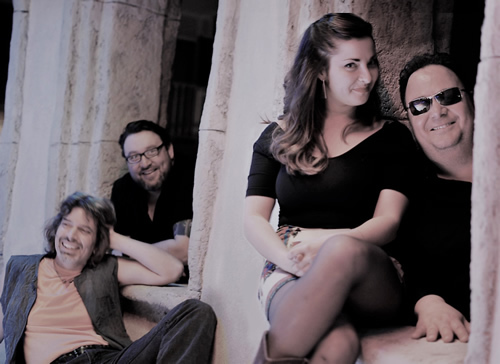 singer and comic Julie "Diorable" DiOrio (the Dirty Dotty Band), guitarist and impressionist Joe Long (a veteran of the Boston music scene) and the infectious Will E. Focker on keyboards! World Gone Crazy is a personality driven show! World Gone Crazy features hilarious impressions like Morgan Freeman & Nick Nolte singing the Beatles, and the "Incoherent Tour: featuring everyone from Alanis Morissette to Joe Cocker to Sharon Osbourne to Dave Matthews and Michael McDonald! WGC Comedy Band also takes on local towns from Provincetown to East Boston to Hampton Beach. Viagra, Taxes, Religion, Politics...nothing is safe in this funny, one of a kind comedy, rock & roll tribute to our world that has indeed gone crazy. Audience interaction, sing-alongs and CD contest give aways are also on the agenda giving audience members their moments to shine. Music parodies cover tunes from the 60's, 70's, 80's, 90's and today! World Gone Crazy combines the fun of Bare Naked Ladies, the energy of Blue Man Group and the comedy of Capitol Steps for a truly unique, punch line driven entertainment roller coaster ride.